The manager/administrator of your Time Clock will need several User permissions in order to be able to perform such tasks as approving/unapproving time entries or editing staff compensation. User permissions are edited from the Tools menu > Edit Settings > User IDs. 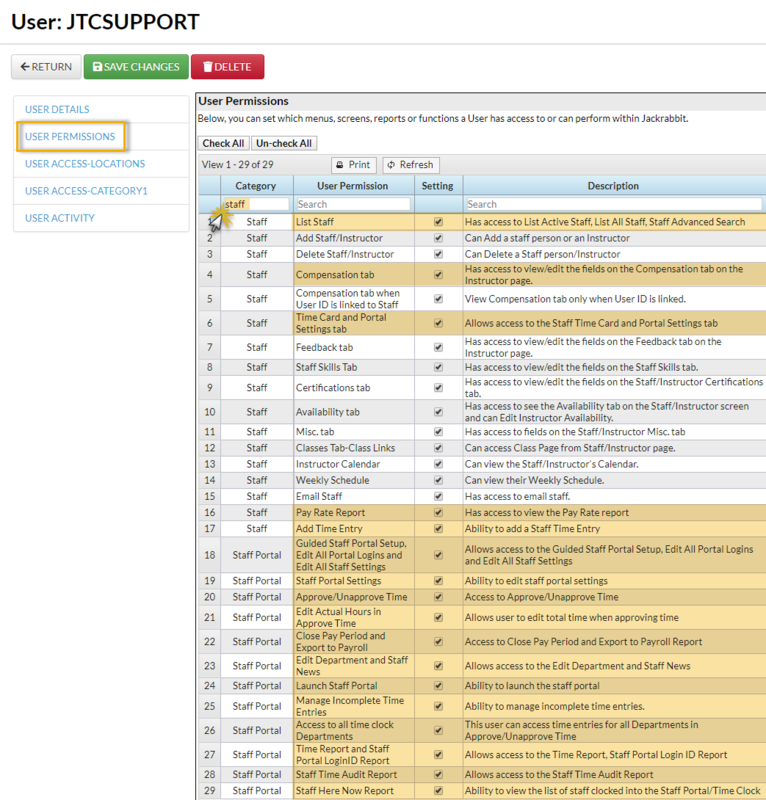 In the Category column, search field, entering the keyword 'staff' will bring up all permissions related to the Staff record and the Staff Portal.